No two offices are the same. We’ll find you the right tool, for the right job, at the right prices. 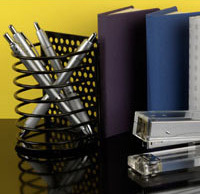 There are items your office can cut costs on and products that deserve the extra attention and quality. We’ll learn your office needs and guide you towards the right product choices for your business. We create customized solutions that solve your challenges in ways most suppliers couldn’t even think of—adding real value to your operation. Work with purchase orders? No problem. Prefer fully electronic A/R and invoices? You’ve got it. We fit our system to your needs, every time. Our team does more than supply you with office products; we help you find solutions that save time and keep your business running strong.